Sheryia Grant disappeared without a trace in August 2016. More than two years later, investigators are still piecing together the last hours of Grant's life. KILGORE, Texas — In August 2016, the Kilgore Police Department began an investigation into a disappearance of a 20-year-old woman that continues two-and-half years later. Sheryia Grant, who was eight months pregnant, was first reported missing on August 19. Detective Sergeant Trae Portwood of the Kilgore Police Department has been working on the case ever since. "You want to be able to give a family answers, that's our goal," said Portwood. 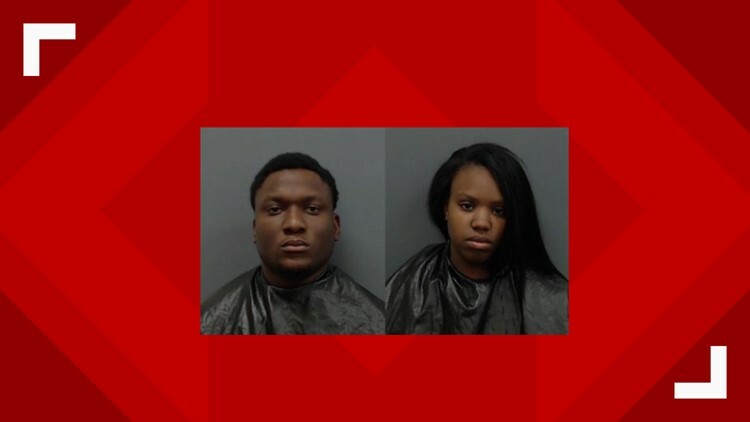 "Allen Sutton and Laneshia Young were both arrested in Rusk County," Det. Sgt. Portwood added. "They were both charged with counts of tampering with physical evidence and one count included a human corpse." Both were taken into custody in March 2017 and remain in the Rusk County Jail. According to the Grant family, they believe Sutton is the father of Grant's unborn child. "It certainly has to do with relationship issues and the relationship between Mr. Sutton and our victim, and the relationship of Ms. Young and our victim," Portwood responded when asked how investigators were able to tie both Sutton and Young to Grant's disappearance. According to the National Missing and Unidentified Persons Database, a government website that tracks missing persons cases, nationwide there are more than 100,000 active missing persons cases and more than 40,000 sets of human remains that have not been identified. Over the past two years and seven months, several agencies, including Smith, Rusk and Gregg counties, even the Texas Attorney General's Office have worked to bring justice to the missing woman's family and her unborn child. Currently, the Kilgore Police Department and the Texas Attorney General's Office are the sole agencies assigned to the case. While Sutton and Young remain behind bars, they are only charged with Grant's disappearance, not her murder. Investigators believe Grant was killed shortly after she was reported missing. "We do believe we know who is responsible," Portwood added. "They have been charged with certain crimes. They have not been charged with all the crimes that we want to see them charged with and the investigation continues, as well as the cooperation with other agencies continues to try to make that happen." In regard to finding Grant's body, according to police, they have drained bodies of water in the area of her disappearance. Investigators even traveled as far as Oklahoma in hopes of recovering the missing woman's body. "We have taken informants to locations where they said they have seen things and had them walk us directly to the area," Portwood explained. "We've had promising leads, we thought, but nothing's panned out and if I told you I had something promising that we hadn't already looked into right now, that wouldn't be true." Now that police are dealing with a nearly three-year-old case, the leads are not coming in as fast as they once were. Still, the joint investigation perseveres with several agencies putting in countless hours to finally learn the truth about what happened to Grant. "Obviously, it's just taking a lot of our time and resources. We all think we know what happened, but until you can bring their loved one home, you can't take care of their grief,” Portwood said. “And that weighs heavy I think on the guys in the unit and on me as well because we want to bring some type of closure to the case." While Grant's family did not speak to CBS19 for this story, in previous conversations with her family, they made it clear they want closure. To them, closure is not just a conviction in court, it is having a proper ceremony to lay Grant to rest. "That's all I want is her body. Please bring my granddaughter back to me," Grant's grandmother told us. Neither Young nor Sutton are cooperating with investigators anymore. While the Kilgore Police Department is working with the Texas Attorney General's Office, state prosecutors are working with all counties to determine the best way to charge and bring those responsible to justice.